For some people, walking or running outdoors is a great way to exercise. What may not be so great is seeing trash all over the ground. Well, some people are doing something about it. "Plogging" began in Sweden. The name combines the Swedish word "plocka," which means to pick up, and the word "jogging," which means to run slowly. A Swedish man named Erik Ahlström, started the movement in 2016. On the World Environment Day website, Ahlström says that he moved to Stockholm from a small community in northern Sweden. Each day he would ride his bike to work. He says he became concerned about the amount of trash and litter he saw each day on his way to work. So, he took matters into his own hands. He began picking up the trash. And that is how plogging was born! Plogging, by that term, may have officially begun Sweden. But many people who exercise outdoors have been doing this for years. Take Jeff Horowitz, for example. He is a personal trainer in Washington, D.C. He says that he would often pick up trash while running outside. He even turned it into a game; he would try to pick up the trash without stopping. "I didn't know it was a thing, really. This is just my personal ethics, where I would go for a run and if I happen to see a piece of garbage [laying] around and it's within reach -- it was a kind of a little test for me to see if I can grab it and throw it in a near trash can without stopping. And that way, I thought, it gave me a little exercise and a little focus for my run. And it helped clean up the neighborhood. And then I come to find out that this has become an international movement and there are people all around the world doing this." Today, plogging is an official activity, one that is becoming more and more popular. 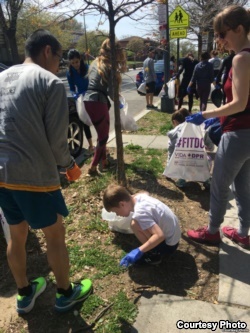 Plogging is equal parts exercise and community service. As Julie Lawson explains, it can also build closer social connections in a community. Lawson works at Washington, D.C.'s Office of the Clean City. Plogging can be fun, too. 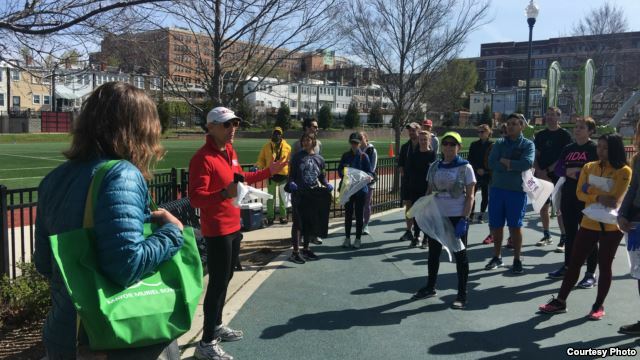 When Dana Allen goes plogging around D.C., she invites her friends. And they make a day of it. Although Allen enjoys plogging, she says she does not do it all the time. When she is training for a serious marathon race, the trash has to wait. "When I'm training seriously for a marathon, I probably wouldn't be as inclined to stop regularly - when I'm running - because I'm focusing on a certain goal. But then there are other days, where I'm out and into sort of a more relaxed running and just having fun and that would be a situation where I might be more inclined to do it." Cities around the world now hold plogging events. 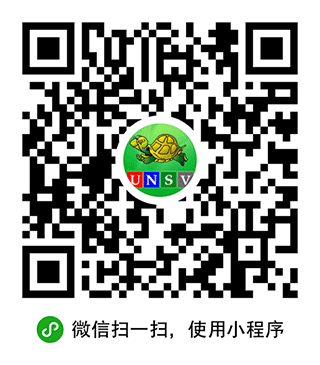 The goal is to spread the idea that littering is not acceptable. Allen hopes one day there will not be a need for plogging. 'I would just hope people would think twice before dropping a garbage on the ground. We have receptacles … seems on every block. So, it's easy to put your garbage in the trash cans. I just think people should think about it a little bit more." Along with cleaning up the environment, there may be another reason to choose plogging instead of just jogging. You may get a better workout. One fitness app, Lifesum, records one hour of plogging as burning 288 calories. Usual jogging burns about 235 calories. Getting ready to plog is similar to getting ready to jog. Ploggers do some deep knee bends, or squats, as well as some balancing exercises. Then, ploggers do something most regular joggers do not do: They put on protective gloves. There are other safety rules for plogging. The main one is to plog in areas where there are not too many other ploggers. This helps to prevent plogging accidents. Ploggers must always pay attention to those around them. Stopping quickly in front of someone to pick up an empty bag of potato chips, for example, could cause a crash. Faiza Elmasry reported this story for VOA News in Washington. Anna Matteo adapted it for Learning English with additional information. Ashley Thompson was the editor.